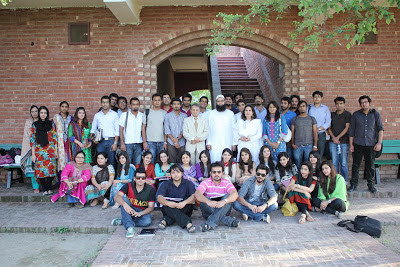 Two advertising gurus, Mr. Asad Rizvi from Orient McCANN and Mr. Shehzad Ahmed from Farighfour came to the Lahore School of Economics to address students of MBA on June 21, 2013. Their presentations were based on functions of an advertising agency and the process of making a proposal for the client. Mr. Ahmed while providing insights of an advertising agency described the structure and role of different departments in an advertising agency. According to the guest, the account management unit played a vital role in an advertising agency. It basically bridges the gap between agency and the client. The account management department is responsible for daily liaison, providing deadlines, outlining budgets and so on so forth. He added that a typical account manager would no be able to sell the idea but a great account manager would always think like a brand manager and would know how to sell an idea. The guest while talking about creativity explained that creativity was all about breaking the norms. Mr. Ahmed said that creative department was the think tank of the agency. The advertising agency is responsible for everything starting with the brand positioning all the way to 360 degrees campaign. The creative department creates an idea and art/design department brings it to shape. 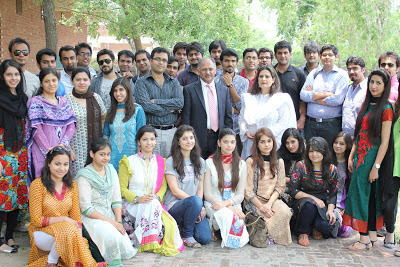 Mr. Salman Siddiqui from Ehsan Chappal House came to the Lahore School of Economics to deliver a lecture on entrepreneurship on June 19, 2013. The speaker introduced himself to the students and explained how his father started the shoe business. His father had a clear vision and was a man of principles. Mr. Salman after finishing his degree in Business Administration began to work with a brokerage firm but soon realized that it was not what he wanted to do all his life. He had a strong sense of esthetics and nack for designing shoes so he joined his family business. His father owned a small shoe store in Anarkali since 1954. After joining ECS, Mr. Siddiqui opened a store in Liberty Market which was a huge success followed by many more stores opening in different cities of Pakistan. The speaker shared with students that initially it was very difficult to design a formal business plan for shoemaking as there was no business model available in the market to follow. They had to come up with a proper inventory management system which was one of the biggest challenges he had to face. The rule of thumb for ECS management was never to borrow and always expand within their financial means. Based on his experience, the guest advised the students that Entrepreneurship was all about leaving bookish knowledge behind, recognizing and believing in themselves and getting out of their comfort zones. Mr. Salman said that Pakistan was a land of opportunities and one should never be hesitant to pursue their dreams. Talking about shoe business in particular, he said that the key factor of their success was knowing the customer and then providing an extra value to him. He said that shoe was a technical product which could not be standardized. The sales volume compensates for low pricing of shoes at their shops. Mr. Salman said that they did not focus too much on their competitors. Their products have already been positioned in market well so they do not spend huge amount of money on advertising. Mr. Shahid Sattar, SEVP and Group Head Retail Banking at UBL gave a talk to the students of MBA on June 19, 2013. His talk revolved around retail banking and its functions. The speaker said that banking was now both number focused and marketing driven. Lot of innovation and revolution had taken place in the banking sector in the past few years. Foreign banks used to perform quite well in Pakistan but things had changed since the privatization of local banks. Mr. Shahid Sattar added that two key differentiating factors for any bank included technology and customer service. The speaker enlightened the students on how banks were using social media to advertise. Mr. Sattar shared the structure of a bank and described functions and operations of various departments in a bank. He is depth discussed different areas of retail banking. The speaker explained how products in a bank were created and then marketed and how sales and customer services were managed. He further added that retail banking was a combination of branch banking, consumer products, marketing and consumer lending. Hierarchy of a retail bank was then discussed with the students. 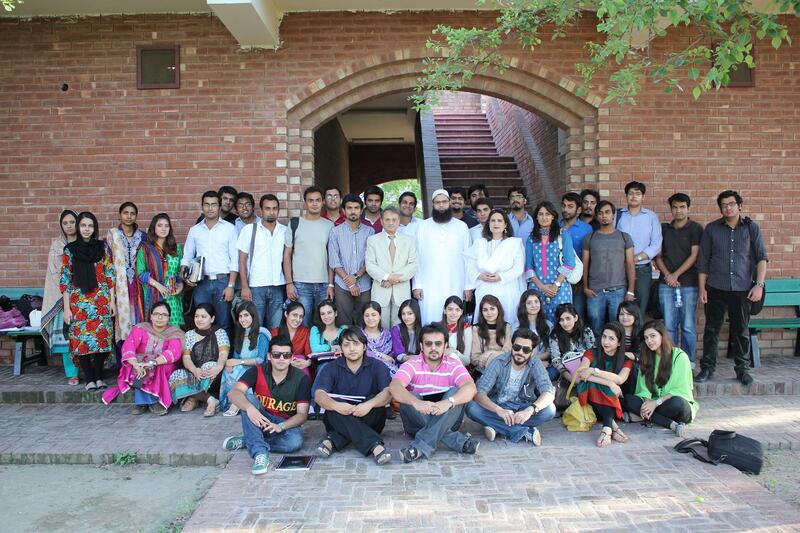 Promotions Management seminar was held in Lahore School of Economics on June 15, 2013. Mr Usman Bhatty, Country Head Nestle Waters and Mr. Khurram Mehr Malik GM Marketing from Haleeb Foods were the distinguished guests. Mr. Usman Bhatty discussed the case of Nestle Pure Life with zinc and presented it in a very interesting and attention grabbing manner. The idea behind developing Nestle Pure life with zinc was mother’s instinct to protect. Nestle discussed the idea with its advertising agency which came up with a proposition of adding shield to Nestle pure life’s logo to symbolize protection. The new logo was then sent for approval to Nestle head office in Paris but it got rejected at first. As a result of reinvention the advertising agency came up with a new logo, depicting shield in a slightly smaller size and in a different color. 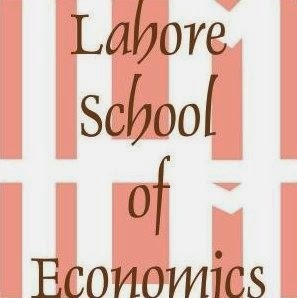 The Lahore School of Economics Society of Arts (LSSA) hosted three hour "Linocut Printing" and "Mono Printing" workshops on Sunday, May 19, 2013. 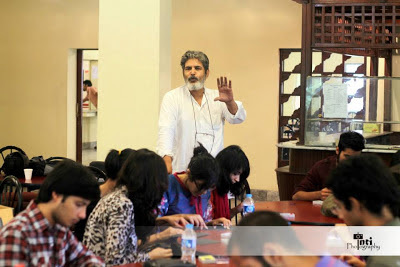 Shahid Mirza guded the students about basic one color printmaking practice for making linocut and tracing. Participants were guided through planning a print, transferring an image to a rubber sheet, carving, and printing by hand. The finished linocuts could be used to create note cards, bookmarks, limited edition prints for T-shirts. 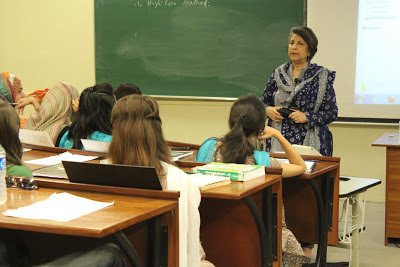 Mrs. Roohi Raees Khan, Chief Operating Officer at Zarai Taraqiati Bank was the distinguished guest speaker at Lahore School of Economics on May 20, 2013. Mrs. Khan started with presenting the facts and figures regarding contribution of agriculture sector to the Pakistan economy. Agriculture contributes 21% to the total GDP of Pakistan and 62% of total population resides in agriculture sector. It provides employment to 25% of total population of our country.